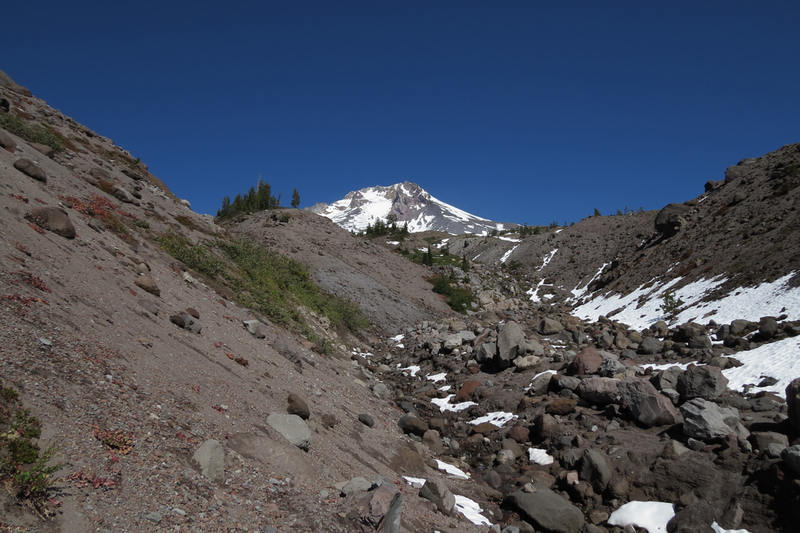 At least once a year I like to visit the moonscape that is Mount Hood above Timberline Lodge. The birding there is hit or miss, sometimes yielding great spectacles like a flock of 200 Gray-crowned Rosy-Finches, and sometimes offering little besides a distant Common Raven. This trip was somewhere in between. 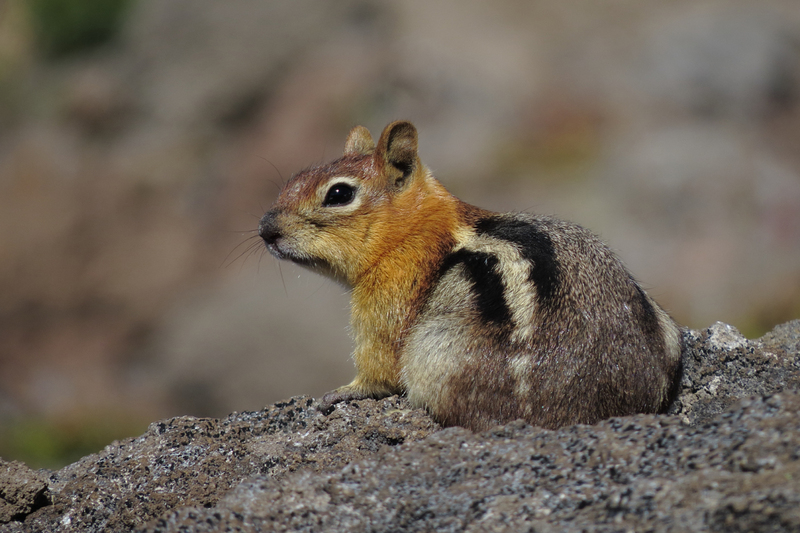 Every trip to the mountain results in at least one photo of a Golden-mantled Ground Squirrel. Yes, we see them every time, but their cuteness knows no bounds. 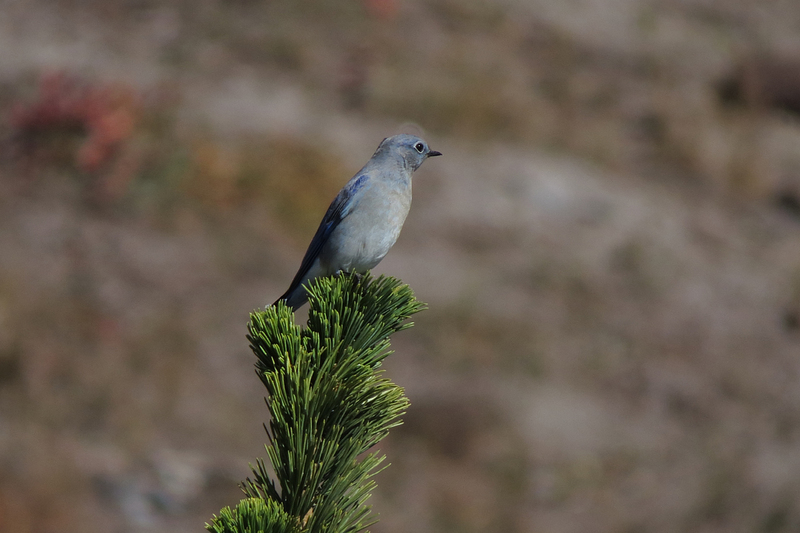 Mountain Bluebirds are expected here in the warmer months. Townsend’s Solitaires are a little harder to come by, but are usually around in small numbers. 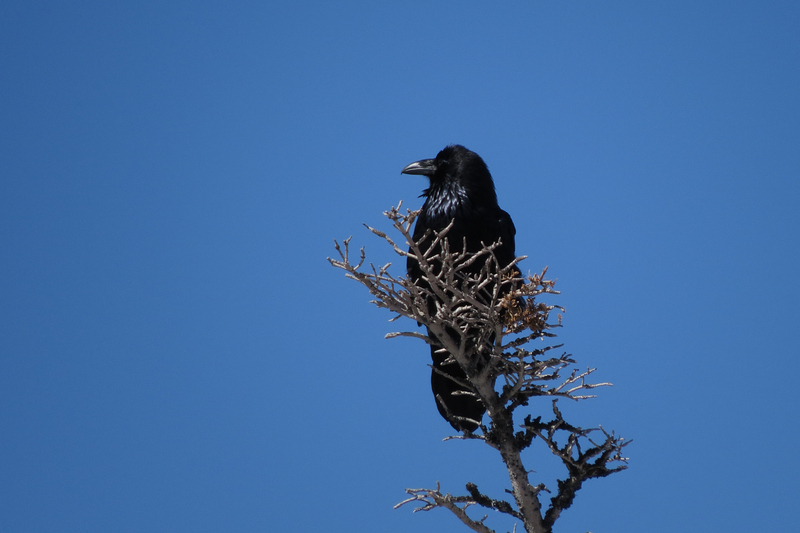 The sun at this elevation is pretty intense, making even this Common Raven glisten. Another bird on a stick; Red-tailed Hawk. 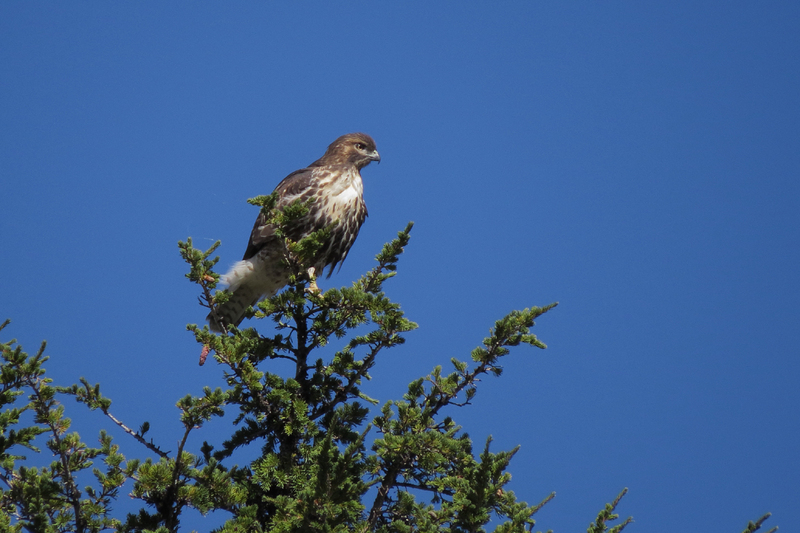 I hope to see migrating raptors when I visit Timberline in autumn. There wasn’t much movement on this day, but I did see several Red-tails, a Prairie Falcon, and at least one Sharp-shinned Hawk. 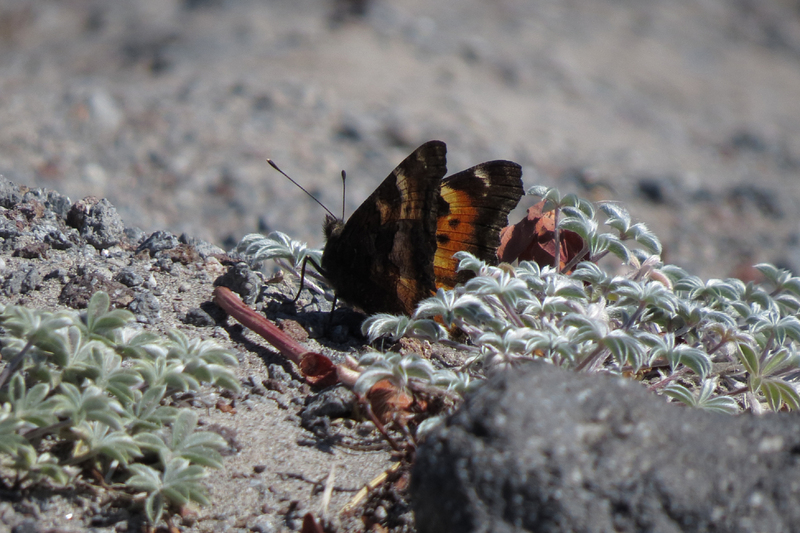 California Tortoiseshells were present in good numbers. I don’t know what they were eating, as all the blossoms had long since dried up. So ends another visit to Timberline. While the birding varies, it is always fun to explore this part of the mountain. 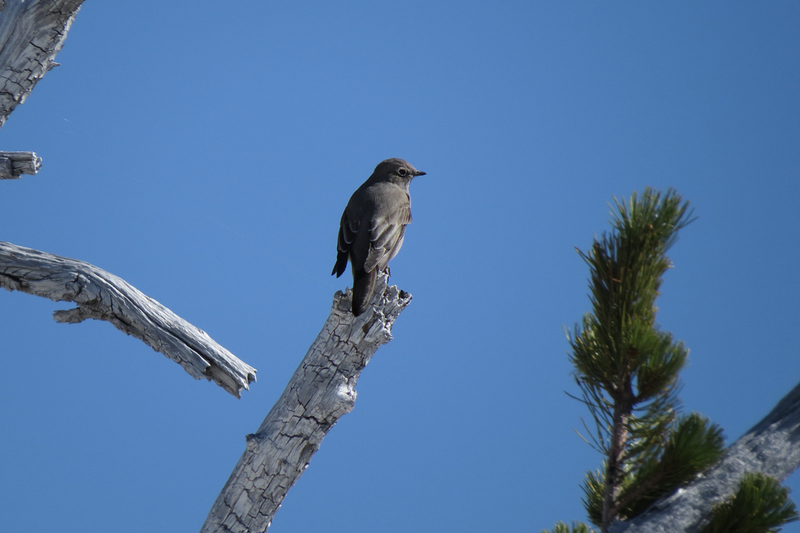 This entry was posted in mammals, OR Birding Sites and tagged California Tortoiseshell, Common Raven, Golden-mantled Ground Squirrel, Mountain Bluebird, Red-tailed Hawk, Townsend's Solitaire. Bookmark the permalink.